We welcome you to About Face Blinds in Destin, Florida. Our showroom, located in the heart of the Emerald Coast, will fulfill all of your window fashion needs. Whether you are looking for drapes, blinds, shutters, shades or screens, you will be able to find it at the area's largest window treatment showroom. As a Skandia Window Fashions Premier Dealer, we are able to provide aluminum blinds, cellular shades, cornices, arches, motorized shades, panel tracks, pleated shades, roller shades, roman shades, sheer shades, vertical blinds, wood blinds, and woven wood shades. Visit our showroom or make an appointment today for all of your window treatments needs in Destin, Fort Walton Beach, Crestview, Miramar Beach, Santa Rosa Sound, Niceville, Panama City, Pensacola, Four Mile VIllage, and Turquoise Beach. We have professional decorators on staff to help coordinate your window fashion choices. From drapes to blinds and shutters, our Destin showroom has it all. 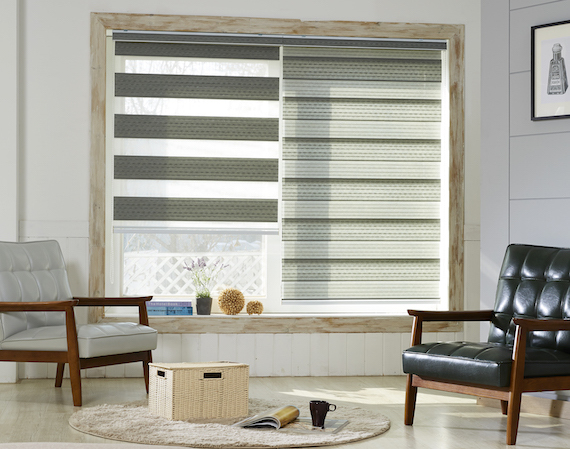 About Face Blinds makes shopping for window treatments easy and fun. After looking at their website and narrowing down my choices, I decided to stop by the show room. With Joanne's expert advice, she helped me find the perfect option for my windows. Seamlessly, she scheduled the measuring and installation appointments. Mitch, the installation technician, arrived on time for both appointments with a professional and upbeat attitude. He installed the blinds with expert precision. Thank you to the entire team at About Face Blinds, I could not have done it without you! I shopped for blinds at 4 different businesses. I finally settled on About Face. Their service was flawless from start to finish. Bill and Sharon were delayed 20 minutes to the measuring appointment. Sharon graciously called to tell me of the brief delay. Sharon and Bill measured with exacting precision. The blinds arrived in 5 weeks - exactly within the estimated delivery time of 4-6 weeks. I was especially impressed with the professional install technicians. Kurt was careful, deliberate, and precise in the install of 2 vertical blinds. Excellent experience. I highly recommend About Face.